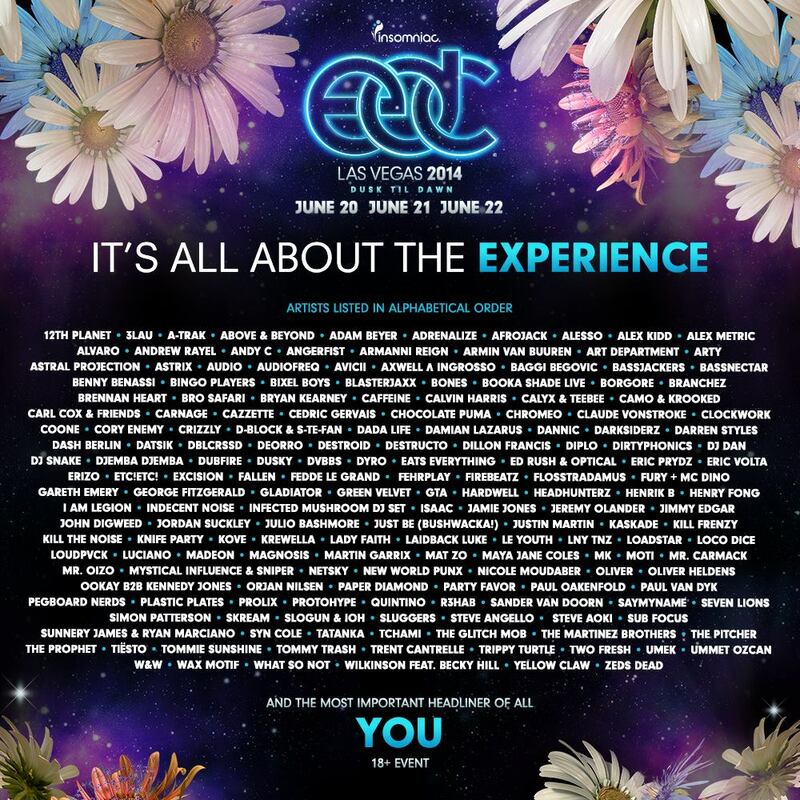 After trolling everyone all day, Pasquale Rotella has finally announced the highly anticipated Electric Daisy Carnival Las Vegas 2014 lineup! This is so exciting because this is the festival that everyone has been waiting for. It sold out almost immediately and along with the documentary, Under the Electric Sky, this is the best thing all summer. Electric Daisy Carnival Las Vegas is taking place from June 20th to June 22nd. Here are all the artists that have been announced!